Posted on July 10, 2009 July 10, 2009 by Mara L.
I haven’t yet made it back home to Italy this summer, so my food entries for Jens’ blog still come from Manhattan. And this time, for the first time, with a photo that I made pretty much without Jens’ help (other than “processing” it). 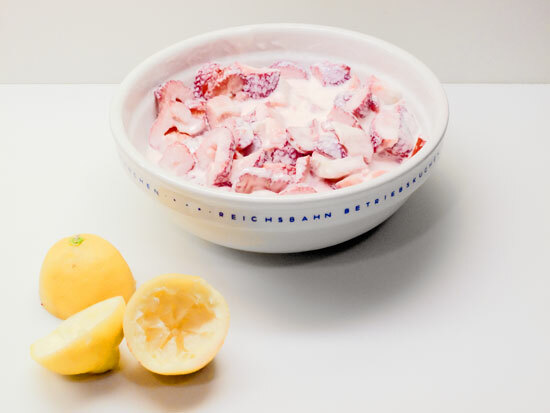 Today I’m not writing about a restaurant or recipe, but about a new discovery of mine, the “quark” – a dairy product from Austria (or is it Eastern Europe?) – from Vermont Butter & Cheese. According to their webpage, one of the founders learnt her cheese making crafts from traditional French farmers. Heartwarming for European expatriates, and a real find. The quark is excellent. It doesn’t taste quite like the European equivalent, mostly because it doesn’t have the same somewhat dry texture. A little softer and moister than the original. But perfect as it is. Quark is what people in Austria use for cheese cake. Arguably, the best cheese cake in the world is made with quark. I shall soon try to make some with the Vermont Butter & Cheese quark, and will report back whether it works. Vermont Butter & Cheese must be praised for giving a little bit of European flair to the summer in Manhattan, for those who seek it! They get my highest rating, five stars *****.